1. Open the barrier gate by motor wheel when power off and automatic locking when power on. 2. Balanced boom running with a motor transmission of cranks and shafts. 3. Remote control to operate the barrier gate. 4. Auto-reverse when the boom meets obstruction. 5. Infrared photocells interface is available. 6. Loop detector interface is available. 7. Well-integrated with car parking system equipments, with wire control (push button). 8. Interface for traffic light. 9. Offering dry contact signal for car parking system (COM, NC, NO). 10. Auto-delay when closing (adjustable). 11. Remote control frequency: 315 MHz, 418MHz, 433MHz. 12. Boom with protective rubber band. Barrier Gate with rubber boom uses the third generation motor. It is stable and has long service life performance, running one million times. Its housing is made of galvanized steel with 1.5mm thickness, and painted, so that the barrier can be used in door and outdoor. 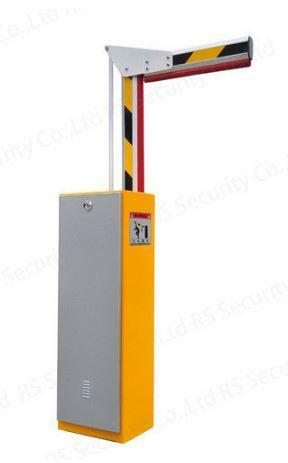 Tag: retractable security barriers, Controlled Access Turnstiles. Barrier Gate Turnstile Enterprise Entrance By HIPHEN SOLUTIONS SERVICES LTD.
Security Traffic Retractable Barrier Gate By HIPHEN SOLUTIONS SERVICES LTD.
IR Sensor Luxury Smart Retractable Barrier Turnstile By HIPHEN SOLUTIONS SERVICES LTD.